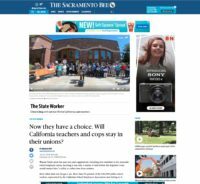 SACRAMENTO – The California Statewide Law Enforcement Association (CSLEA), its 17 affiliate associations, and the National and California Fraternal Order of Police (FOP) lodges are deeply saddened by the Camp and Woolsey fire tragedies that destroyed or damaged the homes of some CSLEA FOP Lodge 77 members and quickly moved to assist those members who contacted CSLEA or a CSLEA affiliate. Following the fires, CSLEA was notified that as many as 10 members’ homes were destroyed by fire, mostly the Camp fire. Those members included a CDFW warden, State Parks rangers, a CHP dispatcher, and CCC conservationists. 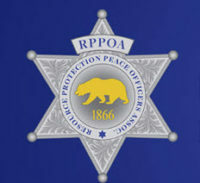 Currently, the CSLEA affiliate Resource Protection Peace Officers Association (RPPOA) is accepting applications for financial assistance of up to $2,000 from RPPOA members whose homes were destroyed by the November fires, this includes warden-, ranger- and cadet-members. In addition, with CSLEA’s guidance one ranger applied to National FOP for disaster assistance. The CSLEA affiliate CHP-Public Safety Dispatchers Association (CHP-PSDA) has provided $500 in assistance to a public safety dispatcher member. At CSLEA’s respectful request, the California FOP lodge has approved a matching donation. In addition, the CSLEA affiliate Association of Conservationists (ACE) has provided $500 in assistance to three conservationists. California FOP has also approved $500 in assistance to a conservationist who applied for disaster relief through CSLEA FOP Lodge 77. The California State FOP Lodge has been contacted by numerous FOP members across the country and from private individuals about wanting to make a donation to help our members who have been affected. The California FOP Foundation, founded in 2010 to provide emergency benefits to California FOP members, law enforcement employees and the members of their families in times of crisis, is currently accepting donations to the California FOP Foundation and donations specified to California wildfire victims. “Now more than ever, we need your help to support our members who have suffered tremendous loss while they have been safeguarding lives and property during these disasters.